Advantages of Arc Welding - Rosh Metal Ltd. Advantages of Arc Welding - Rosh Metal Ltd.
Arc welding is a welding procedure that uses an electric arc to weld metal. It uses an electric supply to achieve welding process. It is reliable, widespread, easy to use and low cost. It became widely used in the middle of the last century in shipbuilding. That is the time when it became commercially viable and recognized. 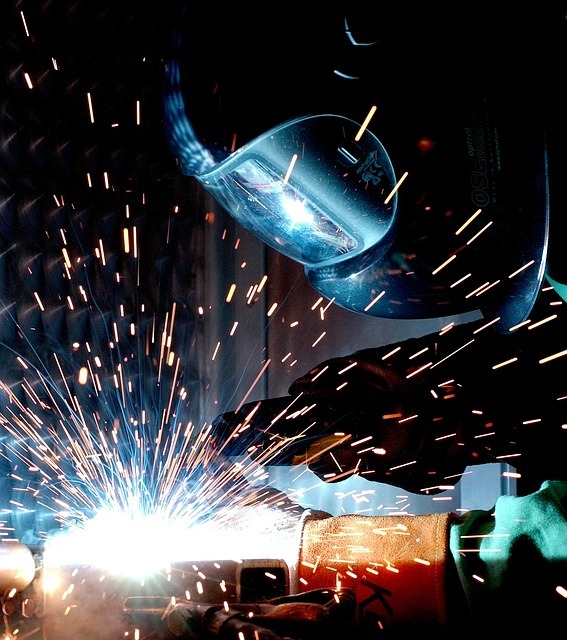 There are several forms of welding construction companies’ use. Some of those methods include arc welding, oxyfuel gas welding, resistance welding, and solid-state welding. Depending on the need each process can have a purpose and a reason why it was used. Availability of tools might be a concern for more complex methods of welding. Price can also be an issue is such situations. This can become more apparent for the smaller construction companies. The ones who need to be careful about their budget. Another determining factor is the location where the welding is taking place. Depending if it is a building site, that has none standard circumstances. If it is a large hall or a small workshop. One of the biggest determining factors about what type of welding is used is the type of metal, or if it is plastic that is being welded. One of the more common and efficient methods is arc welding. Arc welding is the process where the joining of metals is achieved by using electricity. The power supply is used to create an electric arc, giving the method the name. They are able to use DC or AC current, making them highly efficient. To work they require a power supply. The power supply needs to be constant in order to work. The length of the arc is dependent on the voltage. What are the advantages of arc welding? We will focus on arc welding in this article. As mentioned earlier, arc welding is highly affordable and widespread. There are several reasons what that is. Ease of use, and familiarity. Ability to adapt to different metals, working conditions, and environments for welding. This makes it ideal for welding outdoors. The ease of outdoors welding is enhanced by the fact that the tips of the power supply can be extended. Arc welding can be used for almost all metals. Very low cost of the equipment. Not needing high tech tools to make it work. High portability makes it easy to transfer tools quickly. It also gives workers an ability to switch to a new task without a lot of preparation. This is beneficial in a case of emergency. It is also one of the fastest methods for welding. There is little need for post welding cleaning. This is an additional element that gives the method more affordability and portability. As it levitates the workers from having to clean the metals they were working on and gives them the ability to move to work on a new task. Arc welding can easily be used in confined spaces. Ideal for a small workshop, or for tight and small places. It is possible to robotize the whole process. As it does take precise movements, but it can become repetitive. Larger construction companies can speed up their welding times by a large margin. Thanks to the above mentioned low cost of arc welding, the whole robotization can save large amounts of money. Using arc welding it is possible to repair and modify welded joints. When used in construction, the same joints are lighter. This is comparing them to other forms of welding. When welded the joints have the same strength of the metal it was used in the welding process. Arc welding method works even on dirty metal. This is something to be considered but not practiced if it can be avoided. It is possible due to the simplicity of the process. The method works for in various different positions. Affordability is further enhanced thanks to the ability to use different electrodes. Making it easy to switch them during work. It also gives construction companies the chance not to worry too much about what replacement parts to buy. They should still be top quality in order to maintain the high standards of welding, but if the situation is unfavorable it is possible to get by with lesser quality. It is one of the best welding methods for out of position welding. Thanks in part to the ease of use and the earlier mentioned portability. Arc welding is suitable for different none straightforward welding needs. Some of them include vertical, overhead, hard to reach places, and more. Thanks to the way it operates, flux is often not needed, for the most part in large quantities. It is becoming one of the trends in the welding industry. Using arc welding procedure gives much better weld pool visibility. Increasing the cleanness of the procedure. Arc welding can also be used to cut some of the thicker sections of metals workers might be working with. The procedure can be applied to working with stainless steel and even materials as soft as aluminum. This is an advantage when dealing with softer metals and more precise welding. If you plan to use flux core arc welding, there is little need for external shielding gas. The heat input is much lower. The electrode efficiency is higher. The weld cleanup is even lower. The welding fumes are reduced. Some of the advantages of flux core arc welding are because of the tool’s design. It uses a wire filled with flux. The wire is not solid, as it is in the standard arc weld. The tool uses continuously fed electrode. Thanks to the self-shielded wires it is even more optimized for the outdoor use. As with most forms of welding, arc welding has its use and purpose. If there is a need for a fast, cheap and easy to use portable welding work, arc welding method fits all of the needs. It can be easily learned, even by very inexperienced workers. Parts and replacements are easy to find and use.